Unfortunately, the nearly unbelievable SCRA and MLA benefits American Express, Chase, and other credit card companies extend to active duty servicemembers does not apply to military veterans and retirees. I can only believe it myself because I have benefited from these fee waivers for years! Military vets and retirees must pay annual fees on AMEX and Chase cards just like civilians. That being said, there are still excellent travel reward and cash back credit cards available to veterans and retirees. You want to look for a credit card that offers a large welcome bonus, great recurring benefits, and great rewards for spending in travel categories. If you have a business, whether freelancing, rental properties, AirBnB, Uber, etc check out my best cards for veteran owned small business. If you are looking for cash back cards, check out my best cash back cards for military servicemembers. 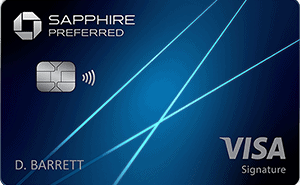 The Chase Sapphire Preferred card is the little brother to the Chase Sapphire Reserve and comes with amazing Sapphire benefits. The 60,000 Chase Ultimate Rewards points could be cashed in for $600, used to book travel in the Chase travel portal for $750, or transferred 1:1 to partner airlines and hotel brands for potentially $1200-$1800 of value. Other cards you should check out are listed on my Best Military Credit Card Bonuses of the Month page. I keep this page updated monthly with the best cards offering the highest bonuses. The SCRA law that allows active duty military servicemembers to get their annual fees waived on all American Express cards does not extend the same protections to military veterans and retirees. It's not my policy, that's just the way the law is written. Therefore, military vets need to pay the $550/year annual fees on the Platinum Card from American Express. While this might seem high, this card can actually deliver over $1500 of value in the first year alone, easily covering the annual fee. 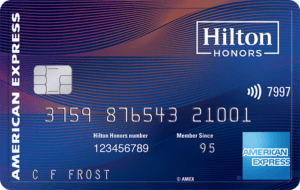 The American Express Hilton Honors Aspire card offers a tremendous amount of value for the travelling military veterans for retiree. With this card you get automatic Hilton Honors Diamond Status. That means free breakfast! You get automatically upgraded (subject to availability) at all Hilton brands including Waldorf Astoria, Conrad, Canopy, Curio, Doubletree, Embassy Suites, Tapestry Collection, Hilton Garden Inn, Hampton, Tru, Homewood Suites, or Home2 Suites. The recurring annual benefits with this card are also stunning. $250 airline fee credit which can offset purchases made with the US airline of your choice. You also get a annual free night award, good at any Hilton property. This can be worth over $1000+ depending on the hotel or resort you cash it in at. I have had the Aspire card since 2018 and love it! I have stayed at multiple Hilton properties in Bucharest, Munich, Dubai, Melbourne, Brisbane, New York, Oklahoma City, London, Edinburgh all on points! No taxes, no fees, no room charges: totally free. And usually I'm upgraded to a suite because of the complimentary Diamond status. The welcome bonus can be as much as 60,000 Ultimate Reward points worth $750 if you transfer them to your Chase Sapphire Preferred or $150 if you just cash them out. 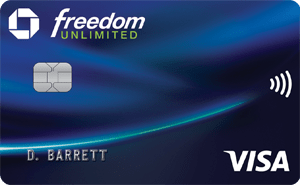 The card offers a simple 1.5% cash back on every purchase and no annual fee. Great to use for online purchases or anything other than travel and dining which you should get 3% back on with your Sapphire Reserve. Let me know in the comments what your favorite card is for military veterans and retirees! First of all, thank you for what you’re doing to spread information to our community. 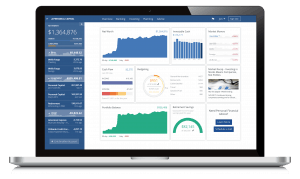 I retire soon (May 2019) after 24 years of service and I was wondering if you have any data points that show how often AMEX or Chase review your status and commence charging annual fee’s? Also, if I decide to cancel my CSR, can I transfer my UR points to my Freedom Unlimited card and then transfer back to a CSR or CSP at a later date? Thanks again for sharing the knowledge you’ve gained.